If you have a Facebook account, chances are, you know what Facebook Privacy is and Facebook allows you to do. You can read the statuses of your friends and family, you can play games, you can look at other people’s photos and videos, and you can join groups and like pages. Yes, Facebook is a social network, so it helps us socially network with others. But did you know that your information could be falling into the hands of people you don’t know? When you join Facebook, you create a profile about yourself. This information is available to anyone on the Internet unless you take precautions to keep your information private and and also know more about Facebook advertising privacy. 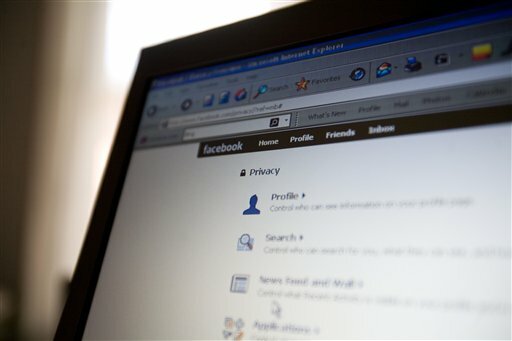 The following five items will help you protect your Facebook privacy. When you first sign up for Facebook, your privacy settings usually default to “Everyone”. This does not mean everyone as in your friends, this literally means everyone. Friends of friends, people who don’t have Facebook accounts—all of these people can see your profile, your pictures (photo privacy Facebook) and your videos (Facebook video privacy) without even needing an accepted friend request. But rest assured, you can change this. Simply go to Privacy Settings and edit your preferences. You can select Public (which allows everyone to see everything) or Friends (which allows only your friends to see everything), or you can even select Custom and decide your own settings. By customizing, you can choose who sees your status updates (Friends of Friends, Friends, Only Me or choose specific individuals). You can also hide status updates from certain individuals. Along with status updates, you can also edit the privacy settings of how you connect, what happens with tags, and what information gets shared with apps and games. You can also limit the audience for past posts and block specific people and apps. While this could potentially fall into the same category as editing privacy settings, it is another way to keep your information from falling into the wrong hands. For example, if your profile is set to public view and someone types your name into a search engine, a preview of your Facebook profile will appear. If you want to keep your information private, you need to turn this option off. In the Privacy Settings tab, click on How You Connect and change “Who can look up your profile by name or contact info” from everyone to your desired choice. Once you have done that, your profile summary should be kept off of search engine results. Facebook does not require you to keep personal information on your profile. Even if you have set your privacy settings so that they are no longer public, you may want to consider removing your phone number and address from your profile. Just like the rest of your profile, Facebook allows you to customize the privacy settings for your photo albums and Facebook album privacy. Again, it will automatically default to everyone, so make sure that you select who you want to be able to view your pictures. The best way to protect your Facebook privacy is to not post so much personal information. Some people think of Facebook as a diary and they share every tiny detail of their day. First of all, most people are not interested in the fact that you just showered or are spending the day doing laundry. Second, it also allows people to know too much about you. They know when you’re not home, which poses a threat to your house. (Yes, there really is a story about a family whose house was broken into when they were on vacation. How did the thieves know they’d be gone? Facebook.) Just because you are “friends” (Facebook friend privacy) with someone on Facebook does not mean that they have your best interests or safety at heart. Also maintain your Facebook email privacy. To be safe, make sure to always think twice about what you post and where you “check-in” to maintain Facebook Privacy. While it may seem a bit silly, it is a deciding factor in your new privacy Facebook. Facebook Profiles/Pages of Bollywood Celebrities!